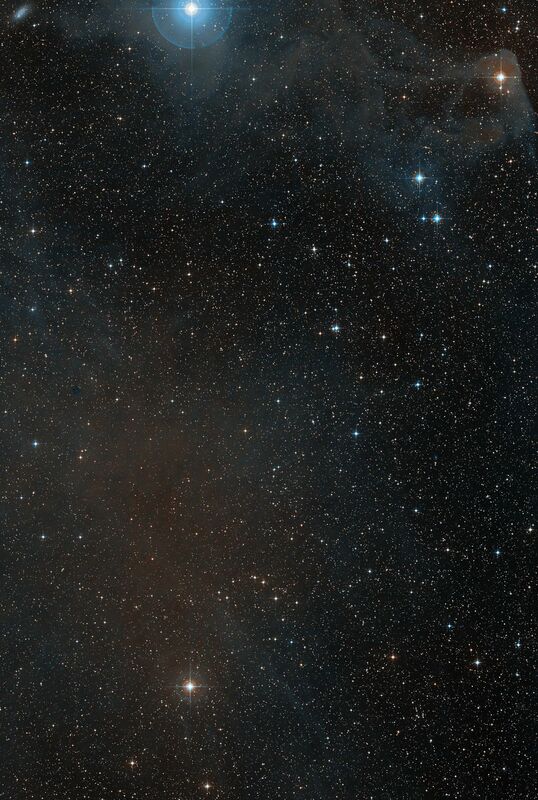 This visible-light wide-field image of the region around the young star T Cha was created from photographs taken through red and blue filters and forming part of the Digitized Sky Survey 2. T Cha is the upper right of the two faint stars very close to the centre of the picture. Some of the dust associated with this star-forming region is faintly visible in the background, particularly at the upper left.